You are here: Home » Baby Arrivals » Congratulations! 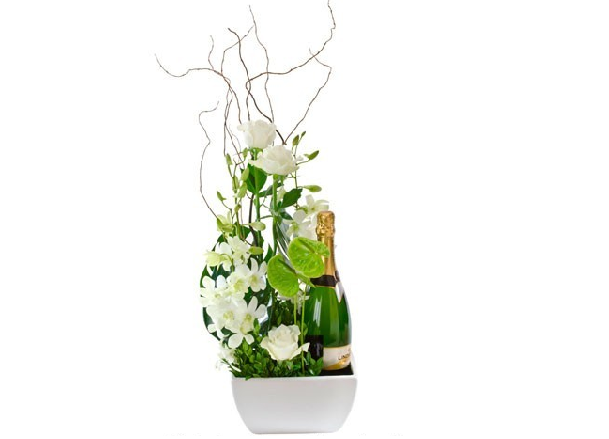 A spectacular designer arrangement in ceramic bowl, featuring a bottle of a fine Australian Sparkling Wine. A perfect way to say Congratulations!